of their property. This is ‘normal’ in maybe half the sales here on the island. That being said it is not a sure thing. Banks provide loans here to citizens and legal residents only and do such at all but usurious rates. Another option is that we experience are people from North America that obtain second home mortgages from their neighborhood bank or in some instances a Self -Directed IRA. We utilize a method of Seller financing that is easy and safe for both parties. No muss/fuss , no government or bank issues. What is normal? This is more of a range than a statement in that every seller sets their own standards but usually the range is 3 to 7 years, 5 to 7% and 30% to 50% down. Come and enjoy a day of festivities Wednesday, April 12, 2019 as the Garifuna people celebrate their annual celebration upon their first arrival into Punta Gorda, Roatan. The first Garifuna people came from St Vincent, Yurine, and a small island in the Caribbean in 1797 and they welcome you to come and celebrate with them! The performances are re-enactments of the reception of the first Garifuna arrivals by the local islanders. Dressed in colorful, cultural attire, they will chant traditional songs in their native language while dancing to the beat of the drums. The locals welcome you to try some of their local, traditional dishes such as “Machuca” (mashed plantain soup), coconut bread and a local favorite drink, “Guifity” (an alcoholic brew). Celebration begins at 1:30pm and continues until 11:00 pm. When I first arrived on the island there were attorneys that were more in line with ‘General Practitioners” versus legal counsel that were more of a specialist. (This actually held true for the Medical Profession also). Over the past 20 years that I have been here much has changed, and the choice of specific specialization attorneys is an example of that. When property is purchased here on the island both a Notary, (not like you are familiar with in the U.S.) and an Attorney are needed. This can be the same person. In the U.S. becoming a Notary is not a complicated and demanding requirements title. In Honduras it requires considerably more education after becoming an Attorney. There are only a small percentage , comparatively, of Notaries as there are Attorneys. There are many Attorneys on the island that ‘fit’ the description of the “General Practitioner” than there are Attorneys that specialize in real estate. The fact of the matter is there are even different real estate requirements and laws that differ from that of the rest of the country of Honduras. 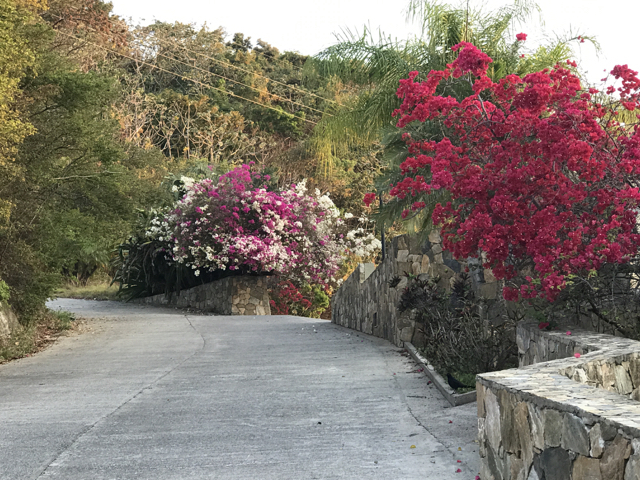 If a Purchaser chooses an Attorney that exclusively does business on the mainland, they may or may not be familiar with the differences in the real estate protocol here on Roatan. When you start the process of the purchase of property here, decide that you will move forward with writing an offer, please make sure that you consult one of our Professional Realtors and ask for their suggestions in this regard. 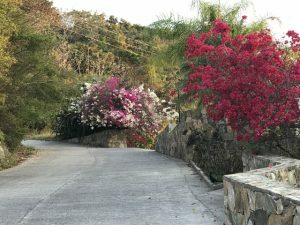 The purchase of real estate here on Roatan, or in any foreign country actually, is a big decision. It is something that you want to go smoothly and feel confident with the process. That process from a Buyers perspective, on Roatan, is similar to that of the U.S. and Canada. That is done on purpose for the Purchasers comfort level. For real estate companies it is lot more work in that most transactions in North America where with a few key strokes historical pricing, property taxes, surveys and considerable information is at your fingertips. Here, not so much. We have 4-6 government offices to go to physically depending on where on the island the property is and if it is held in a corporation. Some are attracted to RE/MAX here on Roatan (we have three Franchises) due to the familiarity of the brand. For Sellers it is a great deal in that RE/MAX is worldwide and there are about 120,000 Agents in over 100 countries. That International exposure for Sellers on the RE/MAX Global site is very far reaching. Add a RE/MAX Caribbean & Central American site added to our top ranked web sites provide unparalleled marketing. For Purchasers RE/MAX adds a layer of comfort being an International company. That said any company is only as good as it’s personnel. Experience counts, education counts and service counts. I personally have been on the island since 1999 working in real estate. The two-key people in my company have over 23 years with me and overall, we have the most experienced staff on the island, of the 17 real estate companies that operate here. We are the only real estate company that has a separate escrow staff. Our Agents are the only Agents on the island that have required educational courses and testing. There are no local or National educational or testing criteria to become an Agent. After our RE/MAX educational courses and testing all Agents have the option of becoming specialist in various aspects of International Real Estate. We have on staff Accredited Buyer’s and Seller’s Representatives, a Certified International Property Specialist, an Accredited Commercial Professional, a Certified Investment Agent Specialist and an Agents that are specifically Trained in Consulting the purchase of property with a U.S. IRA, (‘Individual Retirement Account’). We have three Agents with 20+ years of experience on the island and several with ten or more years. We have the most educated, experienced and professional real estate company in the entire country, not just in the Bay Islands. If you are already dealing with us, congratulations. If you are not, you may wish to consider it. We are the ONLY Company that has the “RE/MAX Guarantee” and our promise of service before, during and after the sale. We are the large company with the small boutique concierge service. 20% Down, 6% Interest, The perfect investment/retirement location. Quiet cul-de-sac in a private and secure mid island- $47,500 U.S.
3br/3ba good value in an up and coming area, only $289K. Short walk to the beach, fresh water pool, very good condition. Quality Concrete 2br/2ba non-tourism area Home $165,000 U.S.
2br/2ba Sandy Bay Home Reduced $50,000 U.S.
Are you a Luxury Home Buyer ? Compare to Luxury Homes here to there. Real Value for your money on Roatan! Check out these great homes! Buy now, build later? – The best values on the island are Home Sites! Find your perfect place now while it is still there, your own piece of paradise.